Shovel Knight, the game, is really good. Shovel Knight, the soundtrack, is even better. 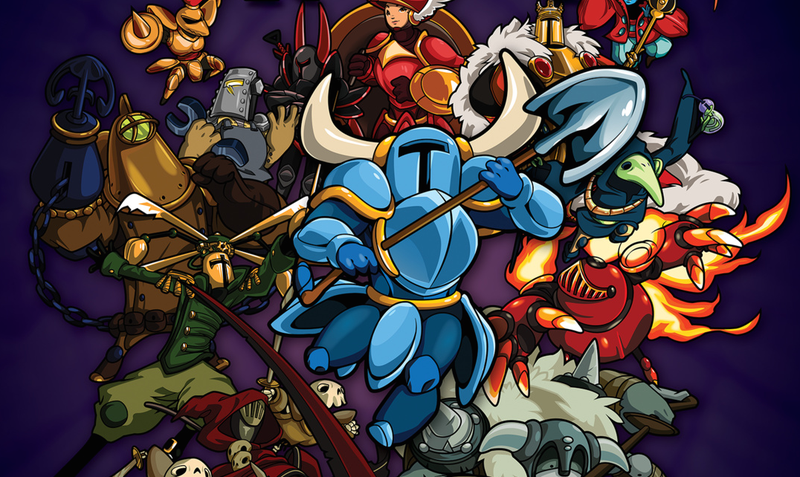 Composed by Jake 'Virt' Kaufman along with contributions from Mega Man composer Manami Matsumae, the Shovel Knight OST is a collection of anthemic chiptune compositions that, like the game it's attached to, both recalls the classic games of the past and leaves its own imprint. Kaufman has also released the album in a NES compiled version, meaning that you can play it directly on an NES or a Famicom, or play it in a NSF software player, which can decode compiled chiptune soundtracks and play them back on your computer or phone. That can be downloaded here (that's a download link). Last but not least, there's also already an album of guest re-arrangements of the tunes from the soundtrack. I really...dig this album. Some of the references are...deep. You can tell they really...mined their inspirations for ideas. Because, see, uh, a shovel is an unusual weapon...okay I'll stop.